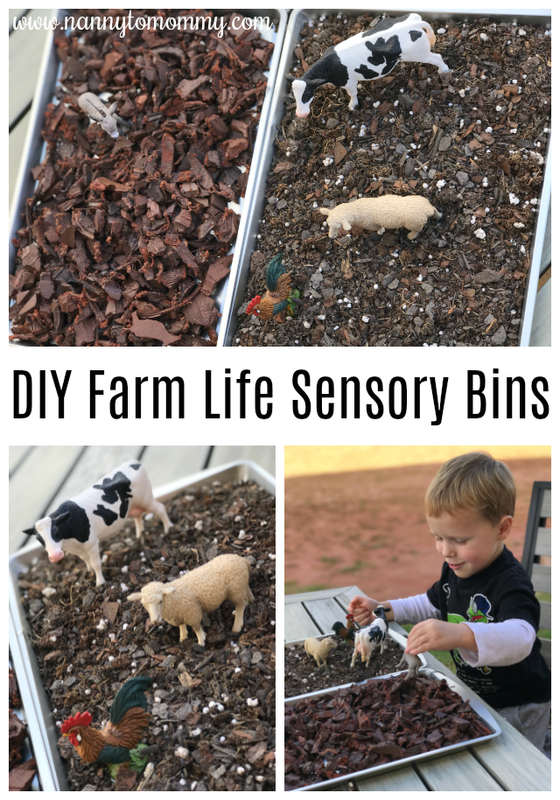 Since the weather is turning colder and we are staying indoors more, I have decided to share a great rainy day activity - DIY Farm Life Sensory Bin. Sensory play enhances learning through hands-on activities that stimulate the child's senses. This is a great way for children to explore the world they live in. Sensory play supports language development, cognitive growth, fine/gross motor skills, problem solving skills, and social interaction. This post is part of a sponsored campaign for Schleich. I received compensation for my participation, but my review and opinions are my own. - A Bin. I used two cookie sheets that I found for $1. You can use deeper bins if you'd like to add more details. - Schleich Farm World Starter Set (or Wild Life Starter Set). 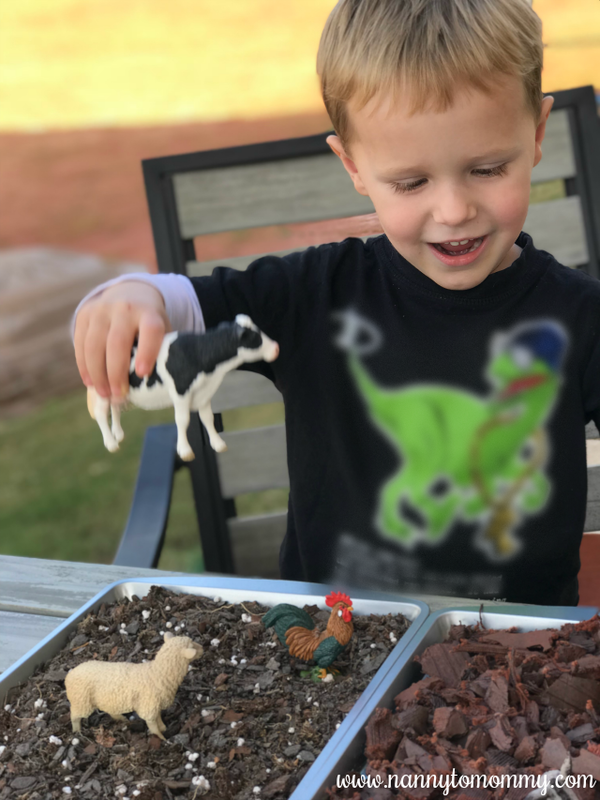 It includes classic farm animals including a rooster, cow, sheep, and donkey which makes it the perfect introduction to the world of farm life animals. - Dirt, Rocks, or Grass. This is where you can get creative. I decided to use rubber mulch and potting soil because that's what we had lying around. 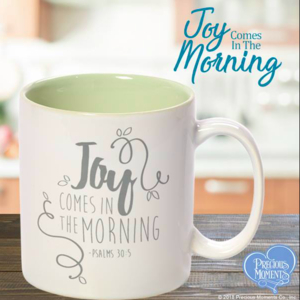 You can even get your older child in on the action for a fun craft idea for them as well. Founded over 80 years ago, Schleich is one of Germany’s largest toy manufacturers and a leading international provider of realistic and hand-painted playsets and toy figurines. The famous Schleich figurines are sold in more than 50 countries and are loved by children around the world. Playing with playsets like the ones that Schleich makes encourage creative and imaginative play. Creative and imaginative play not only has intellectual and cognitive benefits, but also social and emotional benefits as well. To help encourage creative play, you can get involved and provide designated play areas as well. 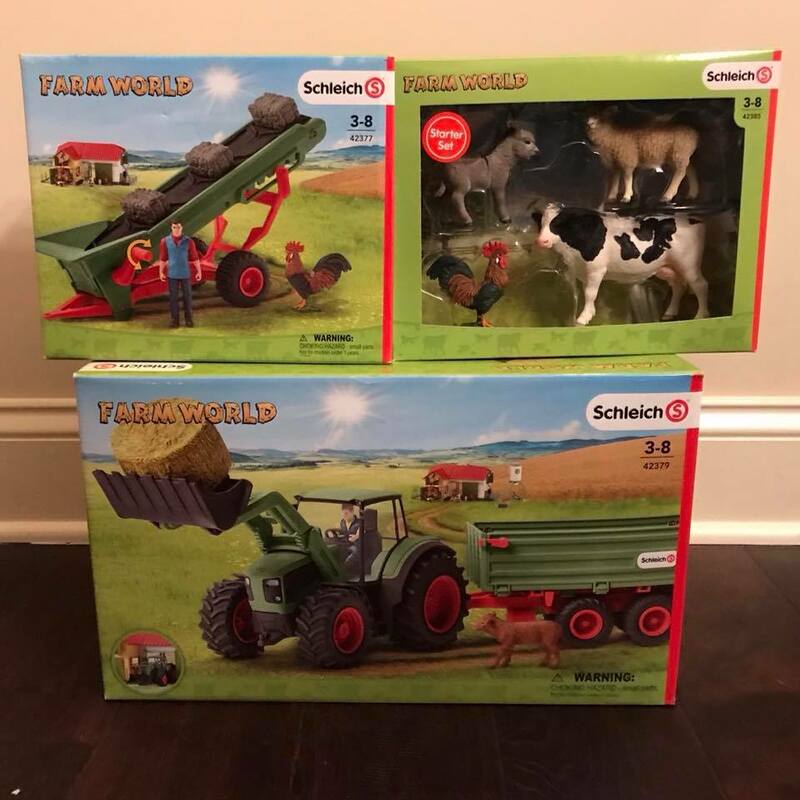 Schleich's Farm World playsets include: Tractor with trailer and Hay conveyor with farmer, which can be enjoyed individually or together with all other Farm World items. Farm World or Wild Life Starter Sets make a great gift for pre-school children. Make sure to follow Schleich on Social Media: Facebook, Twitter, Instagram, and Pinterest. How do you encourage creative and imaginative play? What do you think of our sensory bin? 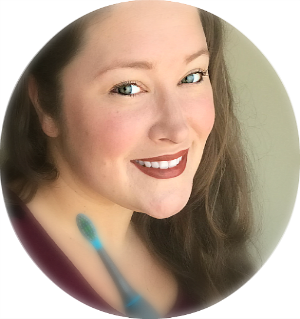 Have you ever made your own? What do you think of Schleich? I really like this idea! My daughter hates getting dirt or gravel on her, but I think this would be a good transition to her being okay with it! This is a great idea! It is really sad, but I read that farming is becoming an extinct profession! How horrible! What would we do without this great American heroes! So fun!! This is a great idea!! We do it with snow when we have SUPER cold days and just don't make it out!! I love this for days when we aren't wanting to head out! How fun! Goign to a real farm is best, but this is a great way to prepapre. That is an awesome idea. My child loves playing with dirt and rocks. I wish that we would go back to the days of small farms. The veggies tasted so much better back then. This is a great idea. My grandsons would love this. 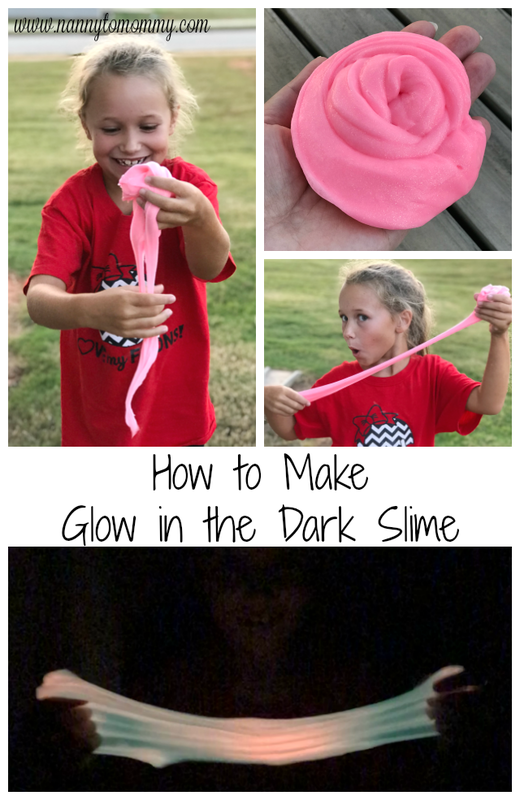 This looks really neat and I know my children would enjoy it! I haven't made a sensory bit yet but my daughter would love one. She does love the schleich brand too!